Bevins and his crew were also responsible for “structure protection” in the area around Redding, California, a city of about 100,000 residents on the southeastern border of the fire. They had driven Truck 511 nearly 800 miles from their home station at Pinion Pines, Arizona, and spent their days removing brush, setting up fire sprinkler kits and spraying foam on buildings that could be in the fire’s path. But they didn’t spend a lot of time on any given structure. They were often needed elsewhere, and so adopted a “prep and leave” strategy: readying a building for the coming flames and then moving on to protect others. At night, they bunked in retrofitted tractor-trailers with other crews, some from as far away as New Zealand, or camped out next to their truck. Despite firefighters’ best efforts, the Carr Fire destroyed 1,500 structures — most of them in Redding — in the 5 weeks it burned in July and August. Almost 40,000 residents of Redding evacuated their homes and three firefighters were killed, including one in a 2,700-degree “fire tornado” with a base the size of three football fields. Wildires have been growing in size and number and fire suppression has grown correspondingly more complex and expensive. The largest 2 fire seasons since 1985 in terms of acreage were in 2015 and 2017, costing taxpayers $2.1 billion and $2.9 billion, respectively. Through mid-September this year, more than 7.3 million acres have been scorched nationwide. Bevins has frequently traveled far from home during wildfire season. The difference, in recent years, is that instead of fighting wildfires thousands of acres from the nearest suburb, the Pinion Pines crew increasingly finds itself battling raging flame walls just miles from densely populated settings. 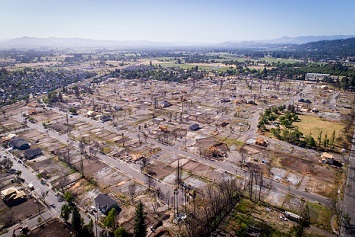 In the western United States, cities like Redding are growing and new residents are building in areas with plenty of trees and underbrush that can fuel fires. Rapid urbanization has also helped accelerate climate change, and the resulting fires have everything they need to cause destruction. 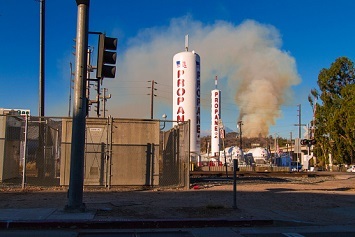 Adam Rose, a research professor at the University of Southern California’s Price School of Public Policy, says the increase in fires and fire intensity can be attributed to 3 major human-influenced factors: extreme heat impacted by climate change, human activity (power lines, cigarette butts, campfires, etc. ), and underused forest management practices. 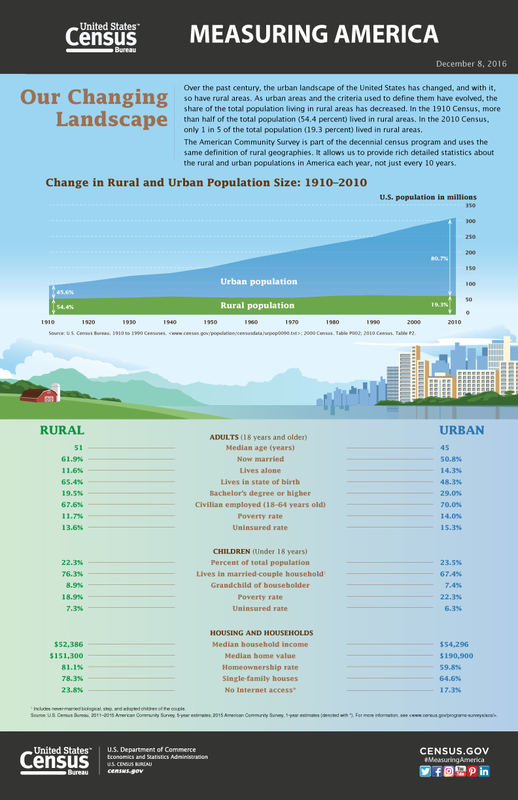 U.S. population growth in the last century has skewed heavily from rural to urban areas. In 1910, the split between rural and urban populations was nearly even. By 2010, more than 80 percent of Americans lived in an urban area, according to the U.S. Census Bureau. Those urban areas are growing faster in the West. Courtesy of USC Sol Price School of Public Policy’s online Executive Master of Urban Planning program. In California, a substantial portion of this growth is in urban centers like Los Angeles and the San Francisco Bay area. But big California cities are facing housing shortages, driving up the cost of housing and pushing development outside urban centers. California developers build up to 140,000 housing units each year, but California’s Legislative Analyst’s Office estimates 100,000 more units a year are needed. “They basically have no available space to build within the confines of their cities,” said Kurt Henke, a former fire chief for the Sacramento Metropolitan Fire District who is a consultant to fire organizations and legislators. He says one solution is for cities to leverage infill projects, developing vacant or underused parcels in largely developed areas. Infill projects limit sprawl by focusing development on land within city boundaries, often targeting lots close to urban centers that command higher rent. Pinion Pines is a small fire district 113 miles southeast of Las Vegas. The station’s 22 firefighters serve 500 people over 22 square miles. The district boundaries cover terrain and vegetation similar to that found in wildlands across the West. It doesn’t take much to ignite that underbrush. Lightning can spark it, but humans cause as much as 90 percent of wildfires, according to the National Park Service. Building homes in wildland exposes underbrush to fire starters: cars, lawn mowers, power lines. While Bevins’ home district in Arizona resembles the areas in California in terms of terrain and fuel, the proximity of homes to one another and the structure volume is much higher in places like Redding. Even in the 8 years Bevins has been fighting fires, he’s noticed a shift in the types of climate his crew faces. Bevins said wildfires used to be contained at around 20,000 acres. Now, he said, it seems every fire Pinion Pines responds to grows to at least 100,000 acres. The sprawl of cities has an immediate impact on the surrounding environment. Because concrete and asphalt retain heat, “urban heat islands” can raise temperatures substantially. Urban environments also have fewer trees to stop carbon sequestration. And sprawl increases commute times, putting more emissions into the atmosphere. “Anything that mitigates greenhouse gas emissions is capable of reducing both types of damages from climate change,” Rose said. It’s unlikely California will get a reprieve from its record-breaking and costly wildfires. Fuel mitigation could take decades, according to Henke. Urbanization and growth in the West show no signs of slowing, and climate change will continue, absent a global strategy to reduce carbon emissions. Article courtesy of the University of Southern California Sol Price School of Public Policy’s Online Executive Master of Urban Planning Program.